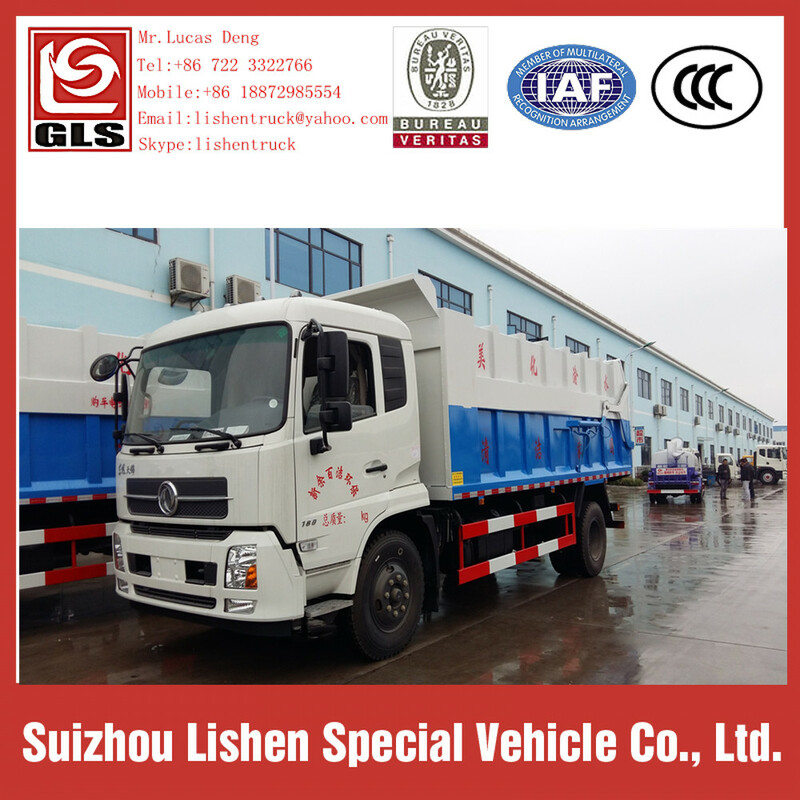 Compression Garbage Truck composed by the sealed van, hydraulic system, the operating system. 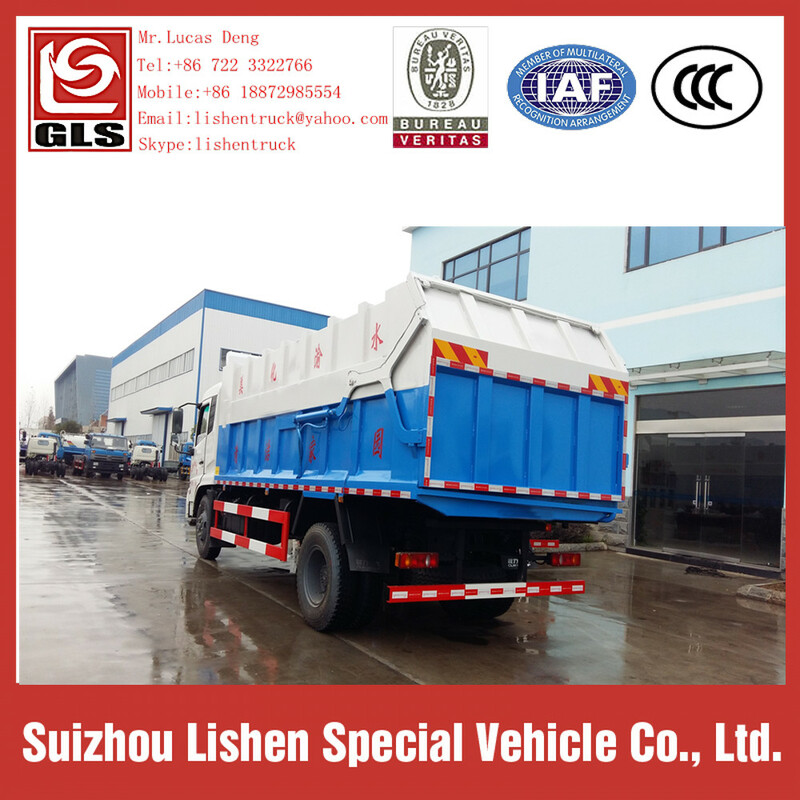 Type vehicle is fully sealed, self-compressed, self-dumping, all the compression process of the sewage effluent into the waste tank, the more solution to the waste transport in the process of secondary pollution problems, to avoid inconvenience to the people, the key parts is imported and componented, with pressure, good sealing, easy operation, and safety. 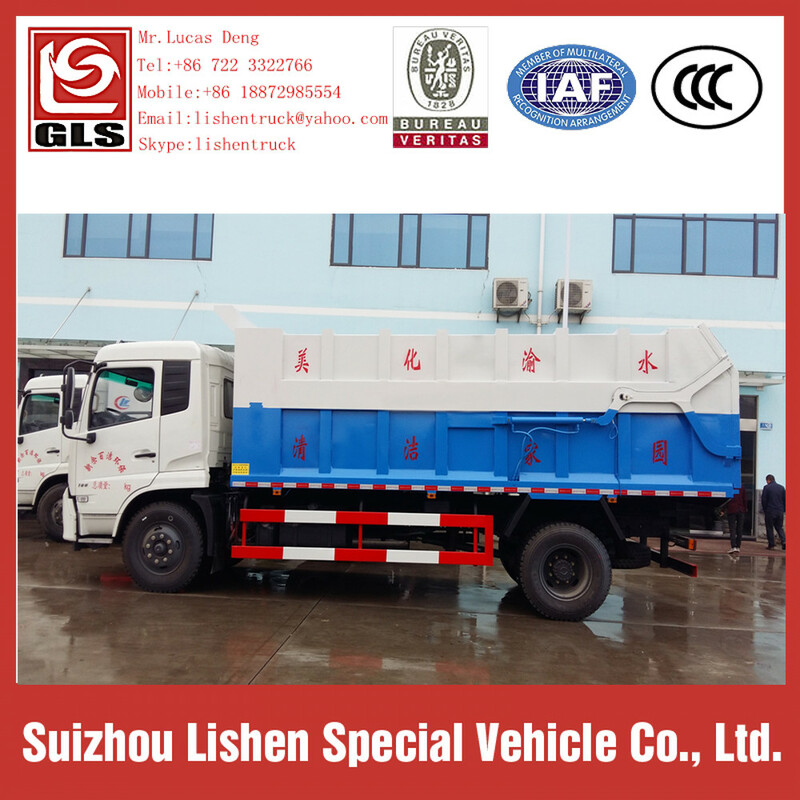 Optional rear hanging barrels flip mechanism or reverse garbage bucket.